Melissa Newell from My Party Passion, is here with this fantastic and easy acorn treat idea for fall. Thank you, Melissa! Can you feel the crispness in the air? It’s almost Thanksgiving! One of my favorite holidays! Last year at this time, I brought you my post about putting together a budget Thanksgiving kids table. 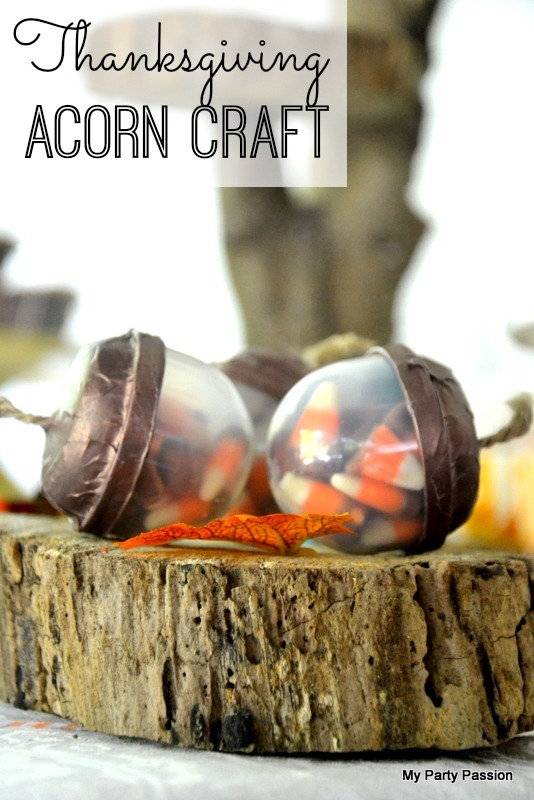 This year, I have a super easy and cute idea for you to adorn the kids table... acorn treats! 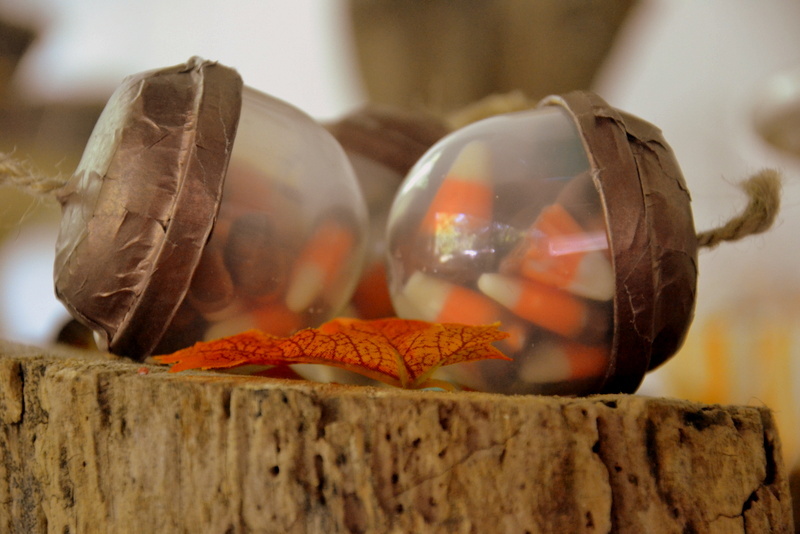 For these “corny” treats I used a favor bubble container from Party On Designs. I tore pieces of gold washi tape and covered the top of the bubble. Then I poked a hole with an awl in the top and pulled through a piece of twine (taping it inside the top of the top of the bubble container to secure it). What's great about these is you can fill them with candy corn, M&M’s, fishy crackers, mini pretzels, cereal, or nuts. SO many snack ideas will fit into these cuties. After the kids are done, they can use them for a little “hide and seek” game – hiding cute things inside and then placing them around the room. I hope your Thanksgiving is wonderful and you have time to spend it with the ones you love! Until December –party on friends! To learn more about Melissa and read all about her party planning adventures, visit her at My Party Passion.